Dr. Victor Gonzalez, founder of the Valley Retina Institute, speaks about cross border health issues during the Texas Medical Association's 12th annual conference as critical health care needs were discussed at the Edinburg Conference Center at Renaissance Aug. 4, 2017 in Edinburg. EDINBURG — After months of uncertainty over health care nationwide, the focus fell on the health needs along the border Friday as lawmakers and physicians came together for the annual Border Health Conference. The conference, held at the Edinburg Conference Center at Renaissance, was hosted by the Border Health Caucus, which is part of the Texas Medical Association, the largest nonprofit group advocating for physicians and medical students in the country. Legislators and medical professionals attended the conference to discuss the future of the national health care law, public health and infrastructure, and cross border health issues. Many expressed uncertainty about the future of the Affordable Care Act, also known as Obamacare, given Republican efforts to repeal the law. As part of the Problem Solvers Caucus, a bipartisan group of congressmen, U.S. Rep. Vicente Gonzalez, D-McAllen, sent a proposal to the White House with a plan to fix problems with Obamacare. The Problem Solvers Caucus, which is composed of 22 Democrats and 22 Republicans, drafted a proposal that would raise the employee mandate, which levies a tax against employers that don’t provide health insurance to their employees, to apply to companies with 500 employees. The mandate currently applies to companies with at least 50 employees. The proposal also mandates government funding so that President Donald Trump would not be able to stop payments to insurance companies, a move Trump has threatened to make. That threat has caused uncertainty among health insurers because cutting off those payments would cause premiums to rise and would thus destabilize the markets. U.S. Rep. Filemon Vela, D-Brownsville, said the only good thing about the Republican efforts to repeal Obamacare is the hope that now Congress will be able to move forward with bipartisan efforts to address issues with the law. “It’s very difficult to say what that path might be because the point at which we are in now has been so troubling,” Vela said. He said the caucus played an important role for lawmakers in order to address the unique challenges placed before border residents. One of the biggest challenges to ensuring access in the Valley is public transportation, according to Eddie Olivarez, Hidalgo County Health Director. “The Lower Rio Grande Valley Development Council has done a tremendous job in developing our mass transit system and I give them a lot of credit but the uniqueness of the Valley makes it difficult,” he said. 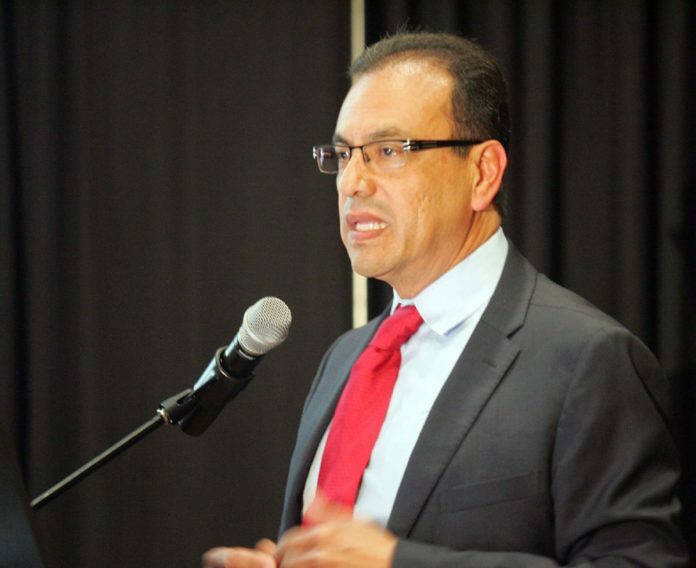 Olivarez described partnerships between organizations around the county and the University of Texas Rio Grande Valley to provide health care to the community. As an example, he referred to Proyecto Desarrollo, a free clinic located in the Pueblo de Palmas colonia in Penitas.